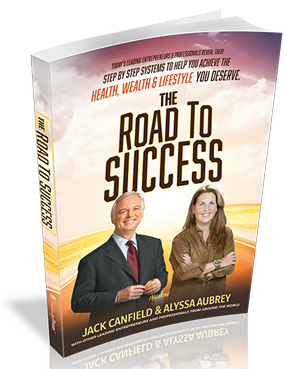 "Alyssa Aubrey and the World's Leading Entrepreneurs & Professionals Reveal Their Step by Step Systems to Help You Achieve the Health, Wealth & Lifestyle You Deserve"
TO TAKE A ROAD TRIP TO SUCCESS, WE WILL NEED A DESTINATION AS WELL AS A GPS. Success is described here as the achievement of a goal. The goals we adopt may be the result of experience, vision or desire. They crystallize our desire to get to a better place. In the classic children’s fairy tale, Snow White, the beautiful but fatally-flawed Queen stands before her mirror and asks “Magic mirror on the wall, who is the fairest one of all?” Each time her faithful mirror replied, “Thou O Queen, art the fairest in the land.” But, the day came when the mirror gave the Queen a very different answer, as the mirror never lies. In real life, those of us privileged to own or spend time around horses find ourselves in the company of just such an honest and mystical reflection. Tizzy, a beautiful 34-year old Appaloosa mare has been retired in my care for several years. You can usually spot her dappled body on the pasture’s periphery. A seasoned, shy, sentinel member of the herd with a beautiful face that looks at you with one blue and one brown eye. Alyssa is a seasoned facilitator with broad experiences that arise from coaching over 6500 clients in equine-guided learning processes. She is compassionate and tenacious with a genuine passion for supporting others as they embark on new directions for discovery, recovery and transformation.